Nearly five years after they were captured in Afghanistan, a North American family have been freed. 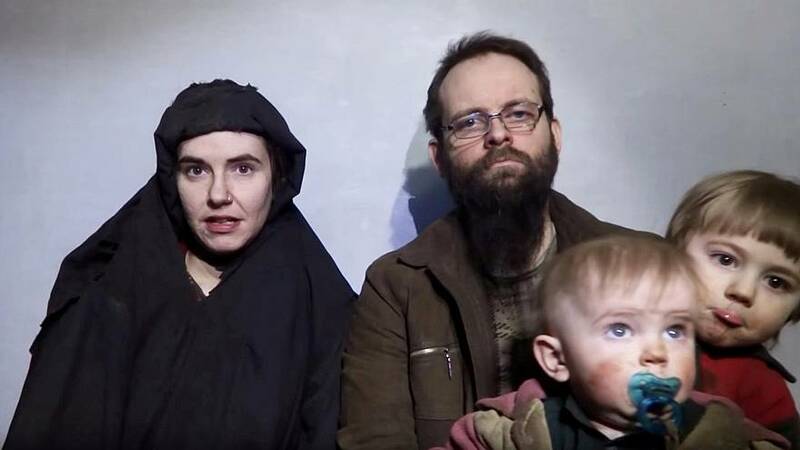 Canadian Joshua Boyle and his US wife Caitlan Colemen were kidnapped by a group linked to the Afghan Taliban in 2012 while backpacking in the country. All three of their children were born in captivity. Announcing the end of their ordeal, President Trump thanked Pakistan for its role in securing the family’s release. “The Pakistani government’s cooperation is a sign that it is honoring America’s wish that it do more to provide security in the region. And I want to thank the Pakistani government. I want to thank Pakistan. They worked very hard on this and I believe they are starting to respect the United States again,” Trump said. The family were reportedly freed after a gun fight between Pakistani troops and their captures. Five kidnappers are thought to have been shot dead during the rescue operation which is said to have come about after a tip-off from US intelligence. Pakistan PM Imran Khan accuses India of war "hysteria"